Home World News Ambassador from Russian to Turkey Is Assassinated in Ankara. Ambassador from Russian to Turkey Is Assassinated in Ankara. The assassination instantly vaulted relations between Turkey and Russia to a new level of crisis over the protracted Syria conflict on Turkey’s southern doorstep. It came after days of protests by Turks angry over Russia’s support for Syria’s government in the conflict and the Russian role in the killings and destruction in Aleppo, the northern Syrian city. 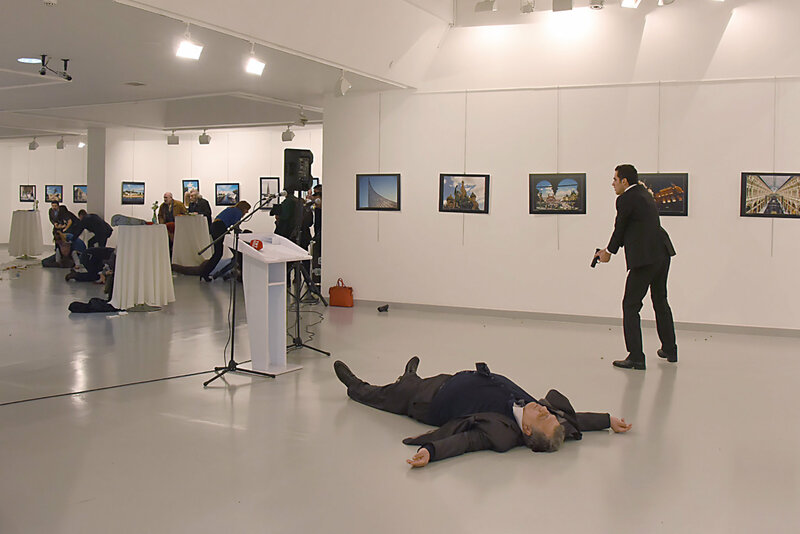 The envoy, Andrey G. Karlov, was shot from behind and immediately fell to the floor while speaking at an exhibition, according to multiple accounts from the scene, the Contemporary Arts Center in the Cankaya area of Ankara. Turkish officials said that the gunman was killed after a shootout with Turkish Special Forces police. The assailant’s identity was not immediately known. 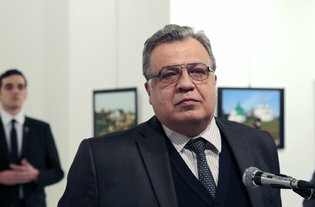 Russia’s Foreign Ministry spokeswoman, Maria Zakharova, told the Rossiya 24 news channel that Mr. Karlov had died of his wounds in what she described as a terrorist attack. Russia news agencies said the ambassador’s wife fainted and was hospitalized after learning of her husband’s death. They also said Russian tourists in Turkey had been advised against leaving their hotel rooms or visiting public places as a precaution. 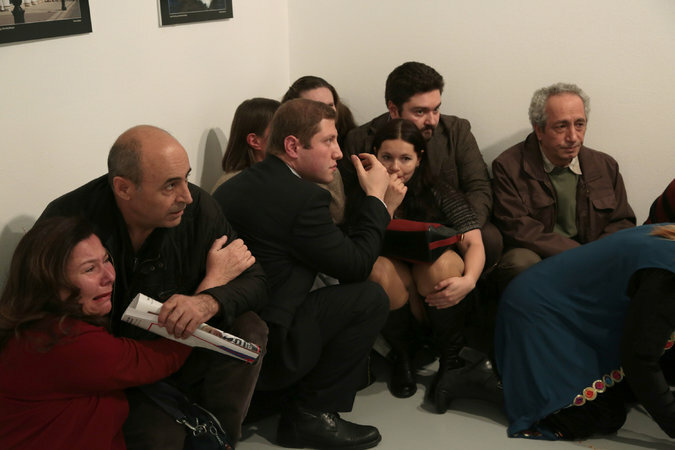 CNN Turk published images showing several people lying on the floor of the gallery. While the Russian and Turkish governments back different sides in the Syria conflict, they had been collaborating in recent days in efforts to evacuate civilians from Aleppo. Mr. Karlov, who started his career as a diplomat in 1976, worked extensively in North Korea over two decades, before moving to the region in 2007, according to a biography on the Russian Embassy’s website. He became ambassador in July 2013. 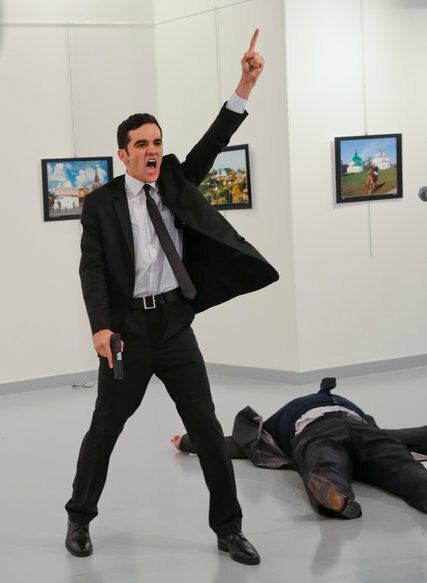 The attack was a rare instance of an assassination of any Russian envoy. Historians said it might have been the first since Pyotr Voykov, a Soviet ambassador to Poland, was shot to death in Warsaw in 1927. For many Russians, the assassination is likely to recall the 19th-century killing in Tehran of Aleksandr Griboyedov, a poet and diplomat who died after a mob stormed the Russian Embassy. That episode is remembered as the most severe insult to Russia’s diplomatic corps in the country’s history. More recently, the Lebanese Shiite militia Hezbollah, now allied with Russia in Syria, kidnapped four Soviet diplomats in 1985, killing one and releasing three a month later. An earlier version of this article misidentified the government that has collaborated with Russia even though it backs a different side in the Syrian conflict. It is Turkey, not Syria.